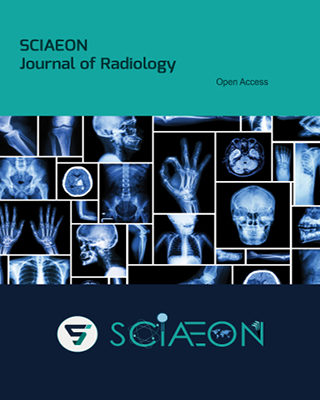 SCIAEON Journal of Radiology (SJR) aims to communicate clinical and technical aspects of radiology, radiotherapy, medical imaging, oncology, radiobiology and medical physics. It includes basic and clinical investigations in diagnostic imaging, focusing on magnetic resonance, new ultrasound techniques, digital angiography, computed tomography and other new innovative techniques. It encompasses all the areas of research and studies on the treatment of cancer as well as tumor using radiation and also publishes new findings in radiation technology, molecular and cellular radiation biology, radiation therapy and clinical oncology. It also provides resources to a broad spectrum of professions like radiologists, radiographers, medical physicists, radiotherapists and radiobiologists. The objective of the journal is to create a forum for researchers, clinicians and radiologists involved in the management and treatment of cancer and also bringing together the innovative technologies in research and treatment.